Parmigiani Fleurier produced a real showstopper at SIHH today with the unveiling of an all gold tonneau-shaped automatic movement in a limited edition Kalpa Chronor. The Kalpa was first on sale in 2001 and has been re-released in three editions for 2018, with the rose gold Chronor, limited to 50 pieces, at the top of the tree. Its PF365 inhouse automatic integrated chronograph is COSC certified and has 65 hours of power reserve. The black opaline dial has a central smooth circle and a guilloche outer ring. 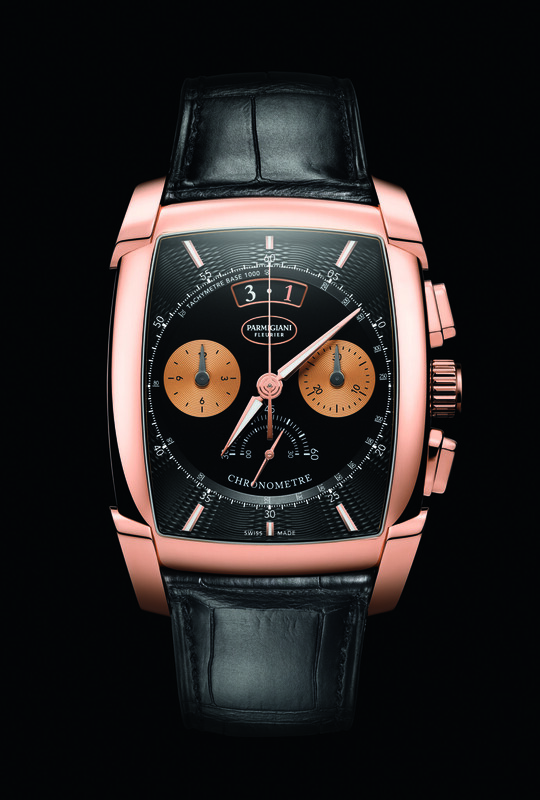 It is housed in a solid, polished, 18ct rose gold case on a black Hermes alligator strap, all for $85,000. More affordable is the blue-dialed Kalpagraphe Chronometre (pictured top), which is housed in the same 48.2 x 40.4mm rose gold tonneau case, but its PF362 automatic chronograph movement, fully visible through a sapphire case back, is made from steel with a rose gold oscilating weight. This brings the price down to $35,000, and the model’s production is not limited. 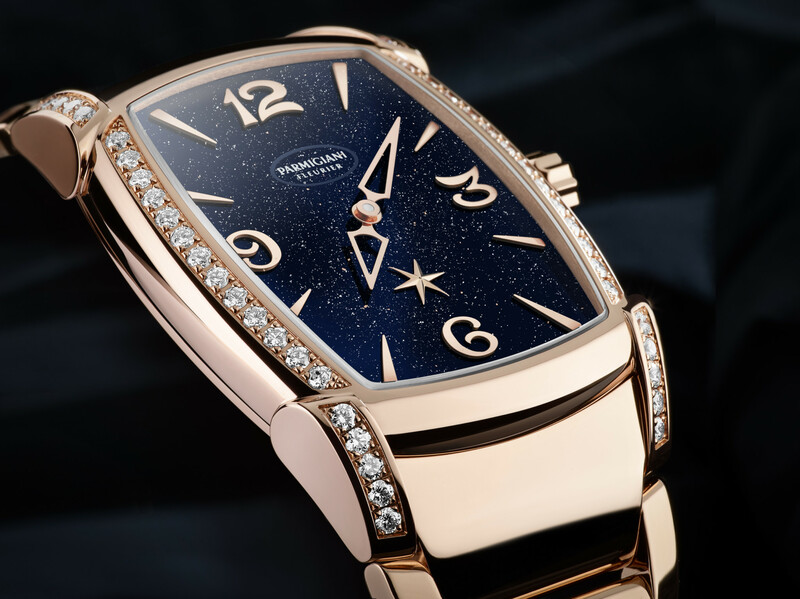 Parmigiani also created two limited edition ladies versions of its Kalparisma. The Nova Galaxy, made in runs of 50 for a rose gold model with 46 diamonds in the besel and lugs and eight of a white gold edition with 182 diamonds. They will sell for $24,900 and $37,500 respectively. The Kalparisma is 10 years old in 2018, and the Nova Galaxy is a celebration of sparkles thanks to its diamonds and aventurine glass dial with a rotating star above 6 o’clock for small seconds. 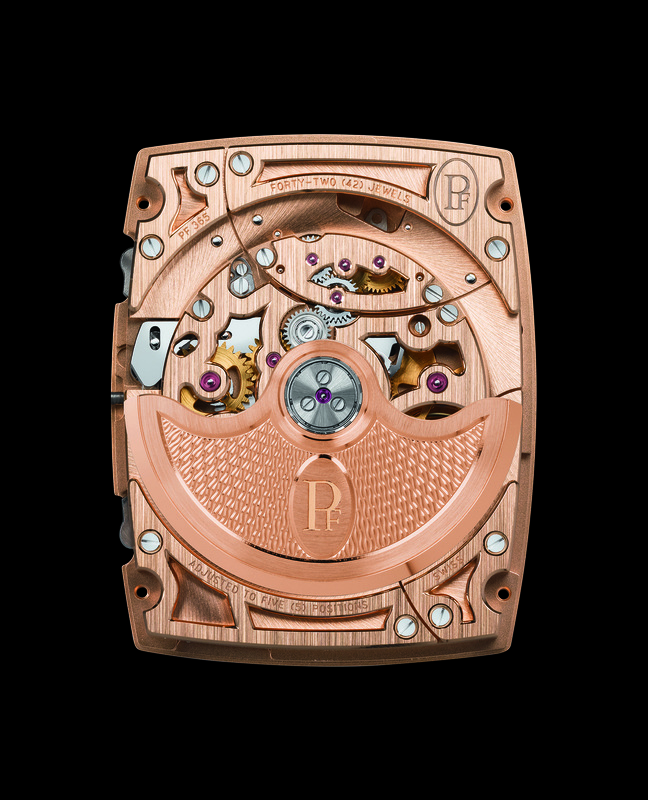 Inside is a PF332 automatic movement with a gold oscillating weight.